I don’t know about you guys, but I’ve been geeking out about The Hobbit way too much these days. Finally saw the movie on Friday (and LOVED it!) and am seeing it again tomorrow with a Tolkien aficionado who will no doubt help answer some of my burning questions. I won’t spoil the movie for you by telling you anything more, but, know this…Smaug ends very abruptly with a doozy of a cliffhanger. Yes, we have to a whole year to find out what happens. Unless, you could always, you know, read the book. But, even then, Peter Jackson’s Hobbit is so markedly different from Tolkien’s, that you never know what he has in store for us. Either way, be prepared to be left hanging. 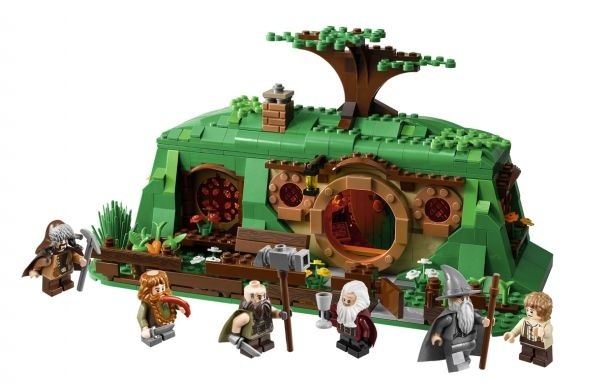 Luckily, for big old toy geeks like myself, there will plenty of fun, Middle-Earth adventures to be had while we wait for the next movie thanks to LEGO’s very cool line of The Hobbit and The Lord of the Rings LEGO sets. And since Greta just recently “graduated” to “big kid LEGOS” from her old DUPLO play sets. 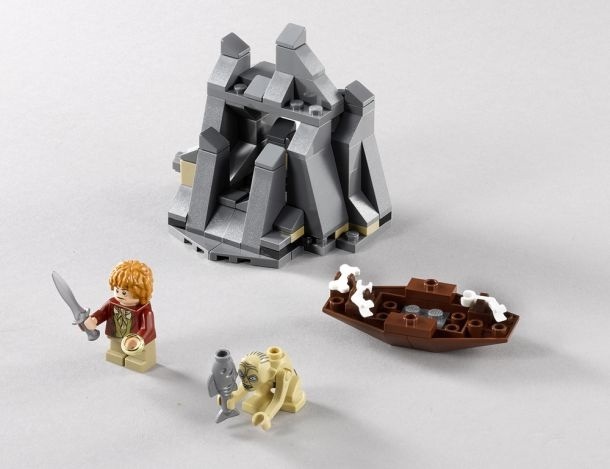 Now I actually have a totally valid excuse for dumping loads of cash into the beautiful The Hobbit LEGO sets. You know, because, ahem, I’m buying them for her too now. Anyway, if you haven’t already seen them in stores or online, the LEGO sets are gorgeous and as textured, detailed and visually stunning as the movies they are based on. So far I only have the mini-pack Riddles of the Ring which includes LEGO mini figurines of Bilbo and Gollum as well as not one, but two shiny golden rings. You know, in case your kid drops one in the fires of Mordor or something. And while that set is cool, you can’t really build too much with it, so, I’m hoping Santa got my memo and sends me a couple more sets for Christmas.